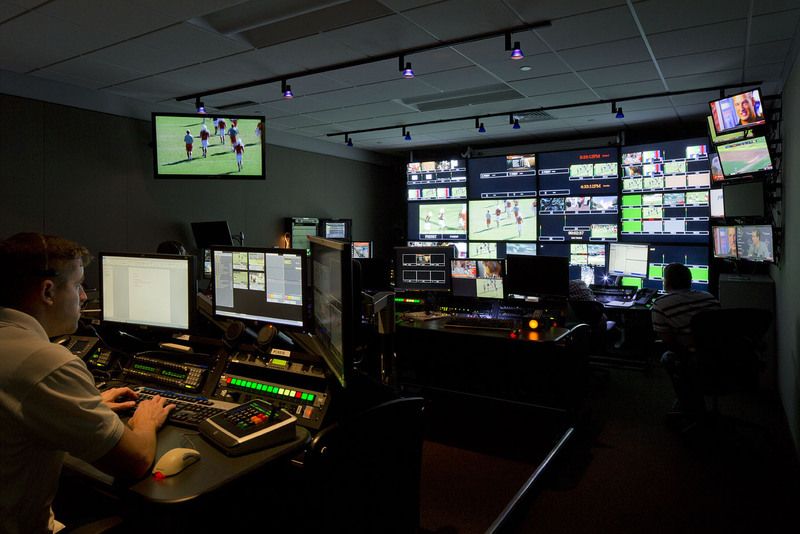 To be up and running in time for the fall football season, the newsroom and the operating technical plant were completed in three months. 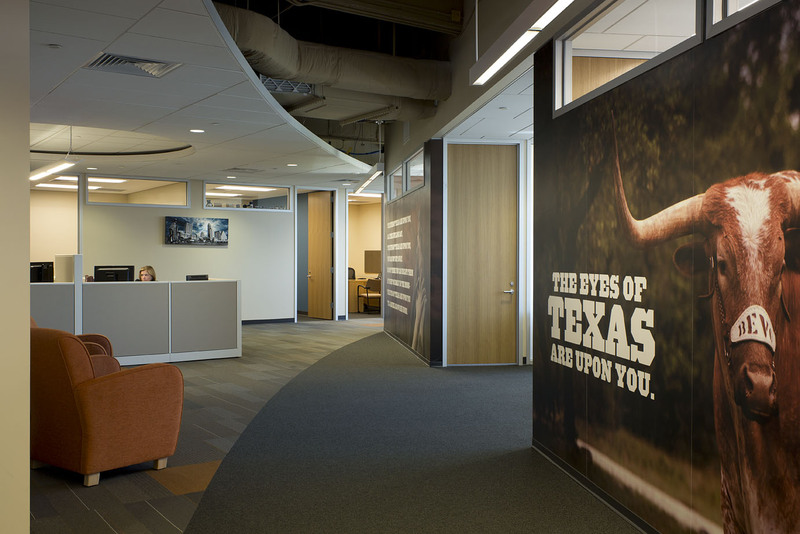 The Longhorn Network, a partnership between ESPN and the University of Texas, hired Lawson in May 2012 to design a university team network. 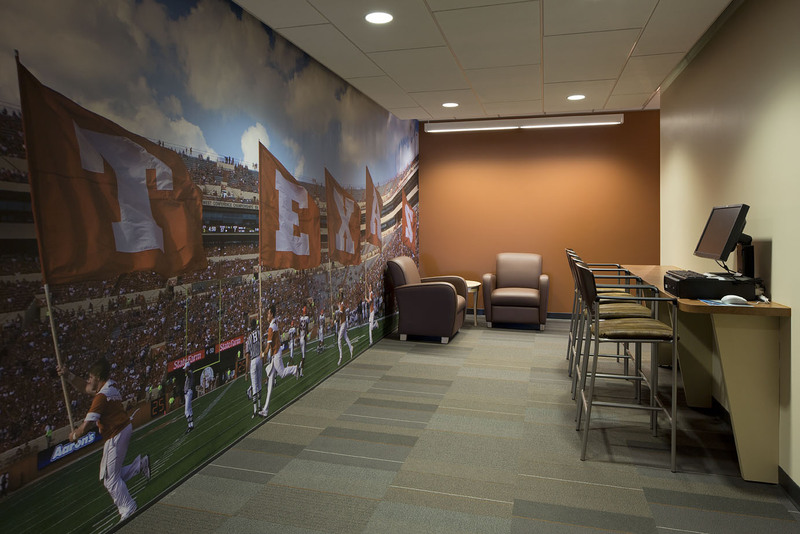 Lawson was required to complete the project in three months to be up and running in time for the fall football season. 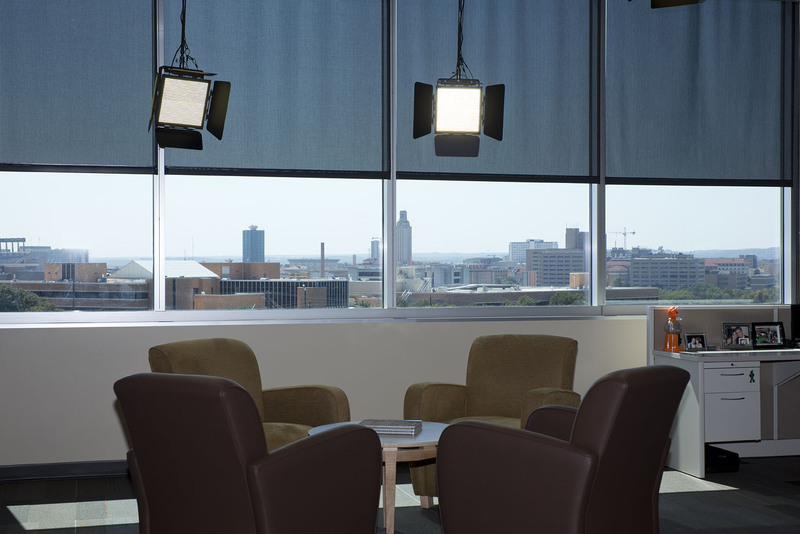 The renovated spaces needed to facilitate cable programming and distribution as well as maximize views of the city and the University. 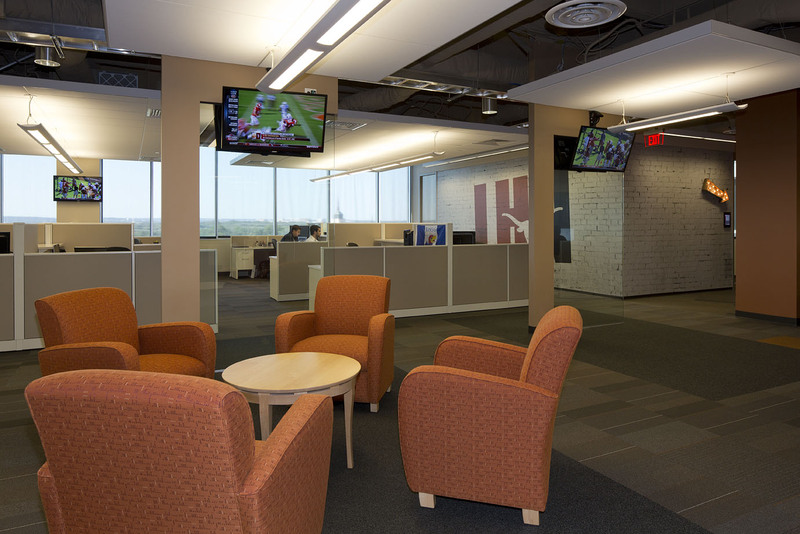 Lawson completed the newsroom and operating technical plant in time for the football season with the benefit of having achieved more than was anticipated. The initial scope was not intended to dovetail into a subsequent project, but the results of the temporary studio and technical plant complimented the final proposed occupied space. 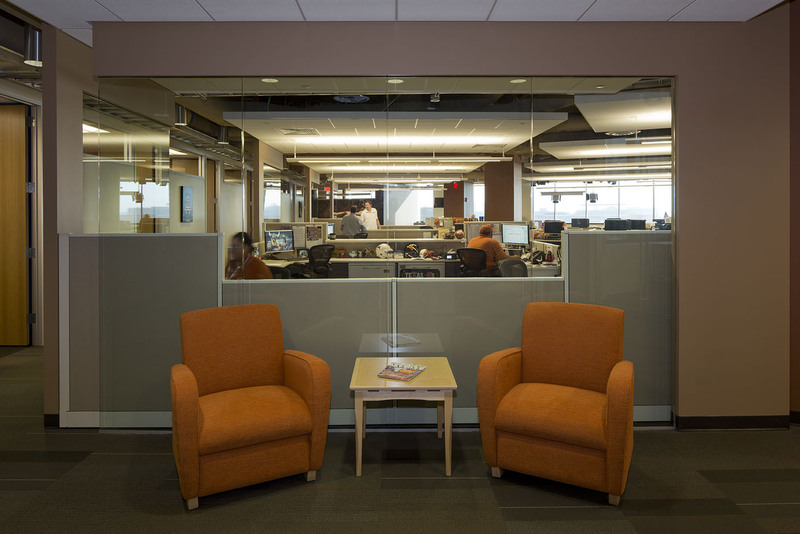 In working with Lawson, Longhorn/ESPN recognized the economic benefit of keeping the originally designed technical plant and only renovated the newsroom and offices. 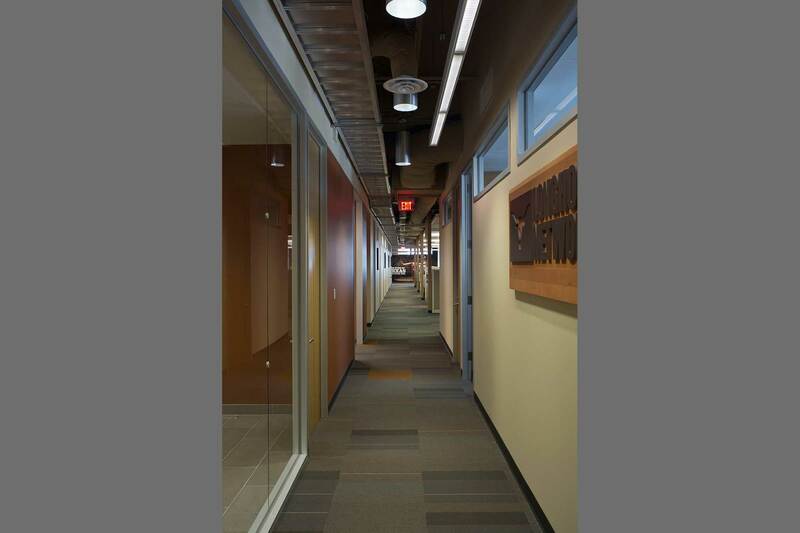 Open ceilings and reworked temporary furniture enable a wide view of the University and Austin’s west side. 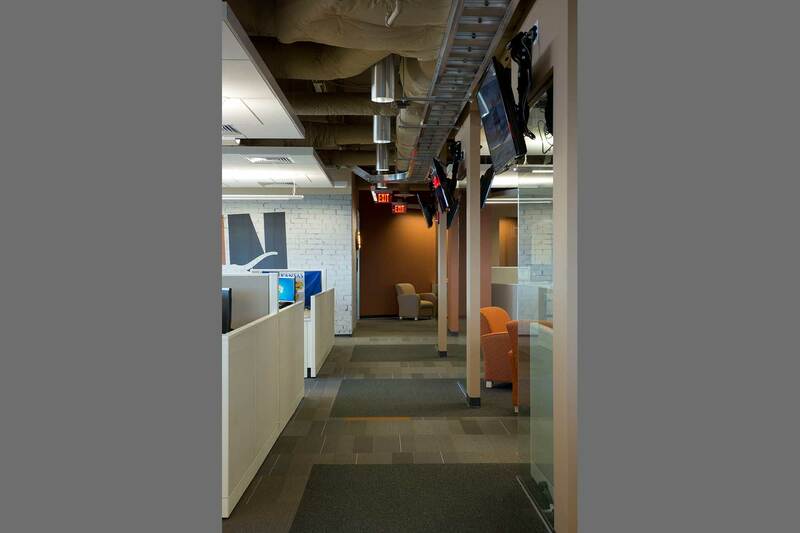 The open ceiling plan also permits easy access to cable trays for wire distribution. The ceilings were designed as cloud-like elements to enhance an already tall slab height. 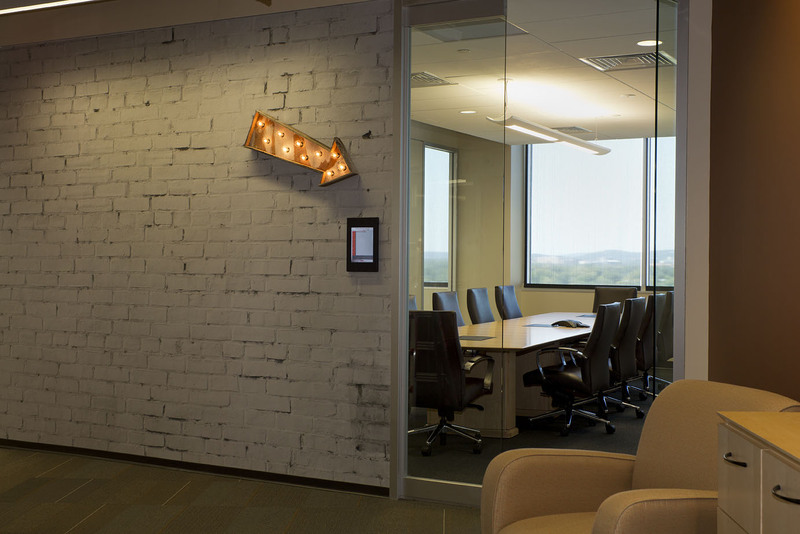 Lawson fast tracked the project to meet the client’s goals without sacrificing quality.